- Supplied with inner gear cables only, no down tube stops (see our part #5511) no brake or outer cables. Does the Shimano tiagra st-4603 come with both the 4 and 8 degree adjustment blocks? Also, does it come with the cable adjustment bolt unit? Thank you for your enquiry. Both the 4 & 8 degree adjustment blocks are included with this item but not the cable adjustment bolt unit however we do sell this separately on our item number 35261. 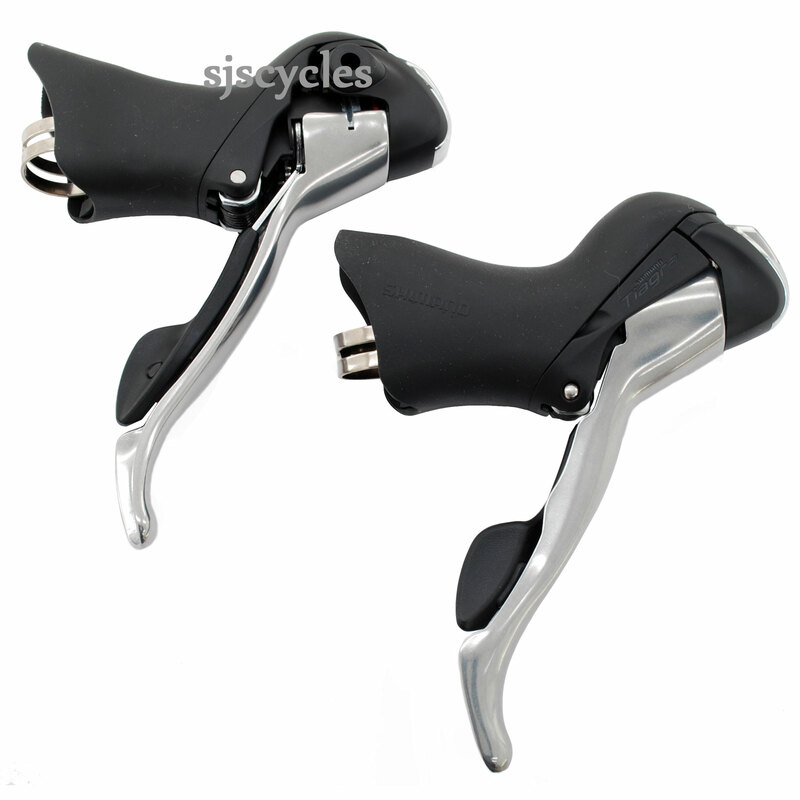 Can I use these as a replacement for my 6603 Ultegra shifters? Yes, these will be a suitable replacement! Will the LH lever operate an XT triple front mech and XT 26-36-48 chainset? Unfortunately this combination will not work as the pull ratios are different. If you're looking to run a wide ratio cassette like 11-36 with these shifters you will need to run a 9spd mtb rear derailleur, any of Shimano's will be suitable. For the front derailleur you will still need to use a road 10spd derailleur, any standard triple option will work.